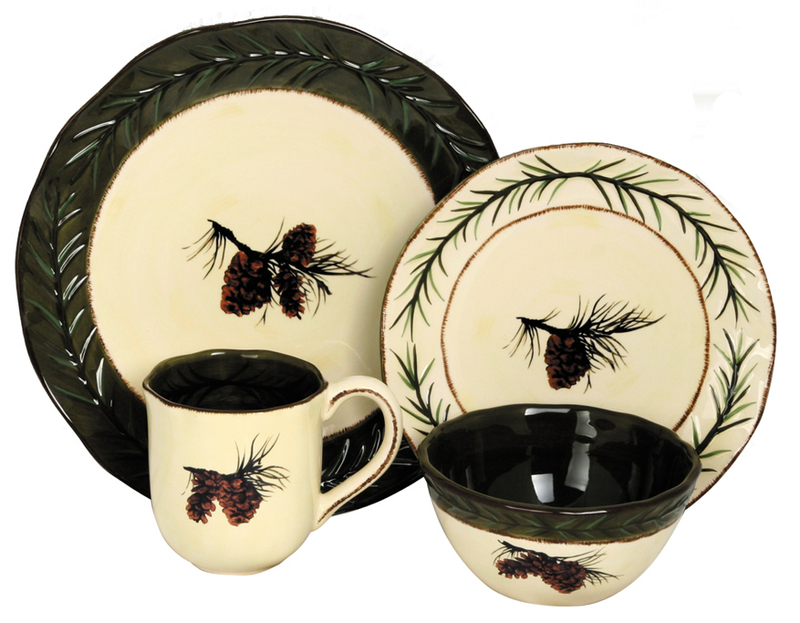 New for 2012 – Pinecone Dinnerware Set! Isn't this pinecone dinnerware set beautiful?? As soon as we laid our eyes upon this gorgeous dinnerware set, we knew we had to have it in our store. This pinecone dinnerware set has 16 pieces, four cups, four bowls, four salad plates and four dinner plates. The leaves on this particular set are not just painted on, the thin leaves are slightly raised and provide an excellent grip and some visual interest as well. Pinecone motif has become a very popular motif for cabins and rustic homes. We have one 16 piece set in our store right now, but you can always order from us online! Thanks for stopping in! Check back soon!